Some say that heroin addicts can never fully recover. That simply isn’t true. Heroin addiction is a disease, and while drug addiction initially begins with a choice, those who are more susceptible to addiction (such as those who grew up in a home torn apart by addiction) often struggle with factors that others simply don’t understand. If you’re seeking heroin rehab and detox in Glasgow, then we can help. Seeking out professional help in Scotland is the first step to overcoming addiction. The fact you made an effort to reach out to a heroin rehab centre shows your commitment to overcoming your addiction. We will help you to stick to that commitment until you’re able to rejoin society clean and sober. There’s no quick fix to moving on from heroin and other opioids. Even after you’ve completed your rehabilitation, you will still have to make daily choices to abstain from heroin use. The first step to overcoming heroin addiction is detox. Heroin Detox involves purging heroin completely from the system. However, this can be a very difficult time for many people to overcome on their own due to the severe withdrawal symptoms that occur during detox. Depending on your level of addiction you may experience a range of withdrawal symptoms that range from mild to severe. Withdrawal symptoms from heroin abuse can typically last six to ten days. This is the period where individuals will experience the brunt of the withdrawal symptoms. In many cases, individuals give up because the withdrawal symptoms are often too severe to handle alone. Everyone experiences withdrawal symptoms differently. Some people may be able to “handle” the drug better than others and thus will not have as hard a time during the withdrawal phase. Others may not be capable of handling even the mildest withdrawal symptoms and will struggle as a result. One of the biggest dangers of heroin use is that it suppresses many of the core functions of the central nervous system such as blood pressure, respiration, heart rate, and temperature regulation. Heroin boosts the production of dopamine in the brain by binding to opioid receptors. As a result, individuals experience euphoria when using heroin. 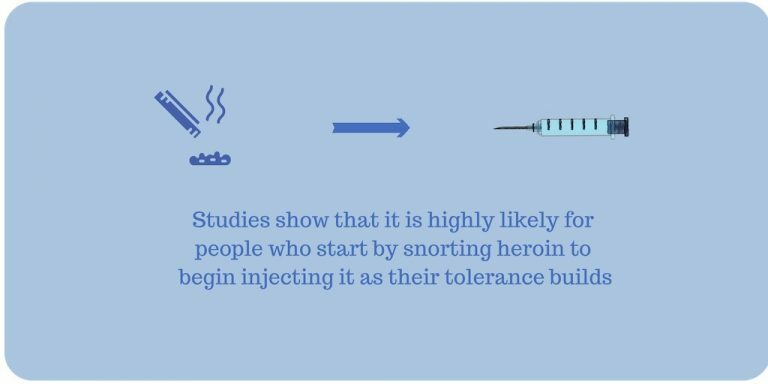 However, while individuals may feel good while using heroin, they may eventually strip away their ability to feel any pleasure at all if they abuse the drug for long enough. When your heroin rehab Glasgow begins, you will start your detoxification programme. This is where the drug is completely substituted with approved pharmaceutical medication which will allow you to withdraw from heroin without experiencing harsh withdrawal symptoms. It’s imperative that you undergo detox in a Glasgow rehab centre. You’ll need professional help to overcome your addiction. While you may be able to weather the more mild withdrawal symptoms on your own, it can be challenging to overcome the more severe symptoms without help. 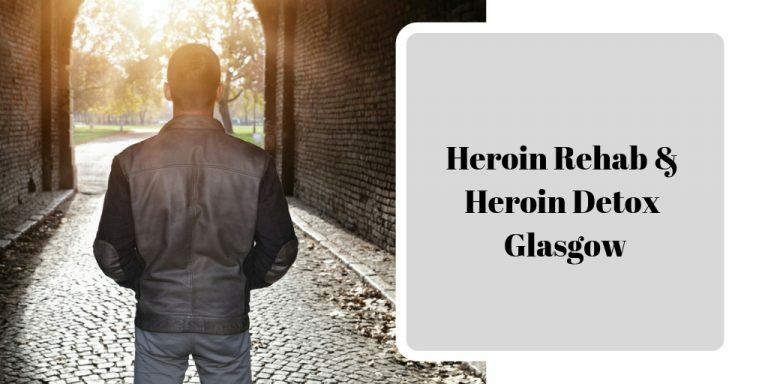 Going to a Glasgow heroin rehab centre will significantly improve your chances of overcoming your addiction because it will immerse you within an environment completely free from outside triggers. You will also be given medication to help temper your withdrawal symptoms. Knowing that someone will always be close at hand to help you when you’re struggling during the detox phase can provide the peace of mind needed to help you get through this challenging time. Once you’ve completed your heroin detox, you will receive therapy to help you identify the behaviours that led to your drug abuse in the first place. You can then correct the behaviour and move forward with your life. We can assure you that the Glasgow heroin rehab centres we work with provide aftercare services that are suited to help you stay addiction free for the long term. Heroin addiction can ruin your life. If you struggle with addiction contact us so we can connect you to a Glasgow heroin rehab and detox centre. We’ll ensure you’re taken care of so you can rejoin society addiction free. Contact us today for more information.